Well done, good and fruitful servant. You had a lot of people in your church and your ministry bore a lot of visible fruit; I will set you over much. Well done, good and radical servant. You have been really radical in all you did and how you lived; I will set you over much. Well done, good and revolutionary servant. You changed the way your generation thought and lived; I will set you over much. Well done, good and victorious servant. You lived your best life now; I will set you over much. Well done, good and excellent servant. Everything you did you did with a high level of professionalism and polish; I will set you over much. Well done, good and knowledgeable servant. You knew a lot of theology and read a lot of books; I will set you over much. Well done, good and highly praised servant. You were praised by everyone in your life and ministry; I will set you over much. Well done, good and famous servant. You have had many twitter/blog followers and a lot of people paid attention to what you said; I will set you over much. Well done, good and articulate servant. You preached/taught in a unique and powerful way; I will set you over much. None of those things are bad, but none of those things are what Christ will ultimately commend His servants for. 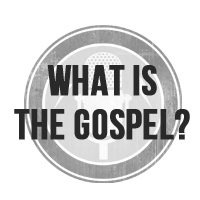 Jesus will not commend us for how radical, knowledgable, famous, or articulate we are. He is looking for something much more difficult, yet much more simple. Jesus is calling all us to be faithful. Well done, good and faithful servant. You have been faithful over a little; I will set you over much. Over all the things we are told we should be as Christians – radical, revolutionary, excellent, extraordinary, victorious – Christ is looking for simple and lifelong faithfulness. Christian, be faithful to obey all that Christ has taught you in absolutely everything you do (Matthew 28:20). Love God with all your heart, soul, strength, and mind and love your neighbors as yourself (Matthew 22:36-40). Love your church (1 John 4:20), obey your pastors (Hebrews 13:17), and never give up the habit of gathering together with your church (Hebrews 10:25). Make sure that everything you do you do for the overarching purpose to honor your Lord and Savior (Colossians 3:17). Pastors, be faithful to shepherd your flock in public and private ministry of the Word so they may become mature and their joy in Christ overflow (Acts 20:28; 1 Peter 5:1-5). Husbands/fathers, be faithful to shepherd the family God has entrusted to you. Love your wives like Jesus loves the church (Ephesians 5:25-33) and train up your children in the instruction of the Lord (Ephesians 6:4). Wives/mothers, be faithful to love and respect the husband God has given you (Ephesians 5:22-24, 33) and do all you can to be the helpmate God has called you to be (Genesis 2:18) as you raise your children in the instruction of the Lord (Ephesians 6:4). Children, obey your parents in all you do and work to honor them (Colossians 3:20). Yes, I hope that I and my brothers and sisters in Christ are knowledgable, radical, revolutionary, fruitful, etc., but not because we were seeking those things as our goal. No, may we become those things as a result of pursuing faithfulness to Christ in the ordinary lives we live. May faithfulness to Christ be our goal in all we do and let the rest take care of itself. This entry was posted in Uncategorized and tagged christian life, christian living, discipleship, faithfulness, obedience. Bookmark the permalink. 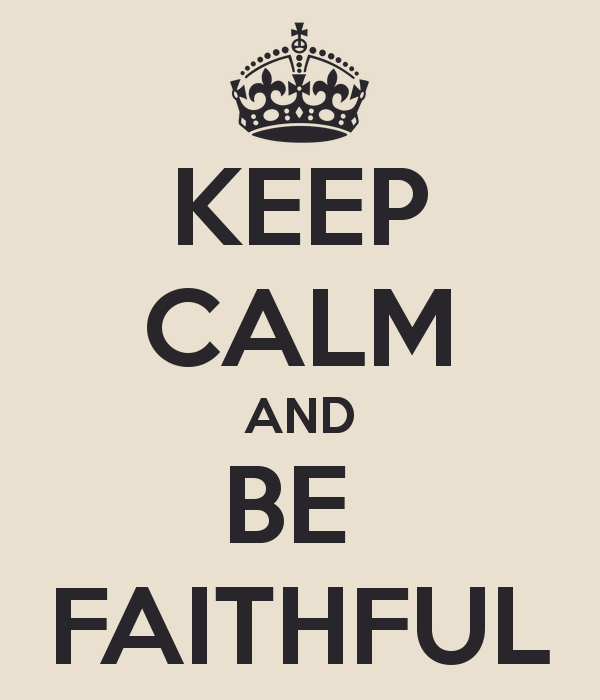 Ordinary faithfulness to Christ… may that be our banner cry. Amen.